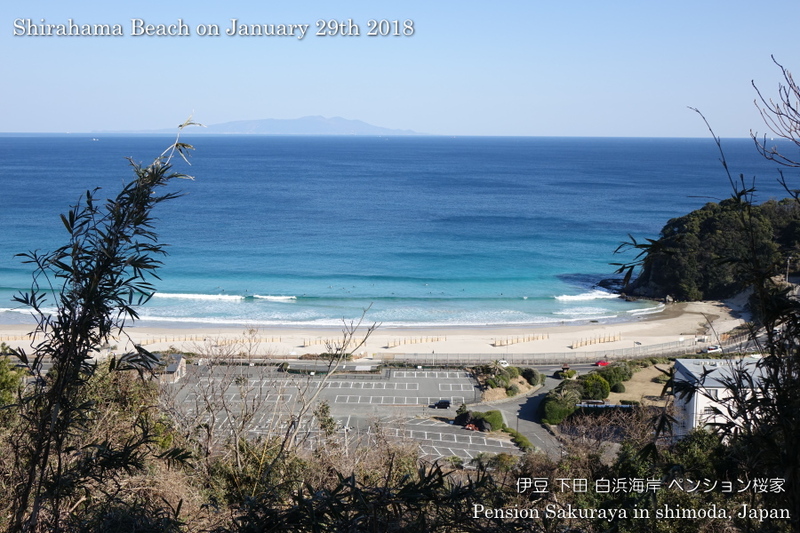 I walked to the point where we can see Sotoura beach this afternoon as usual. 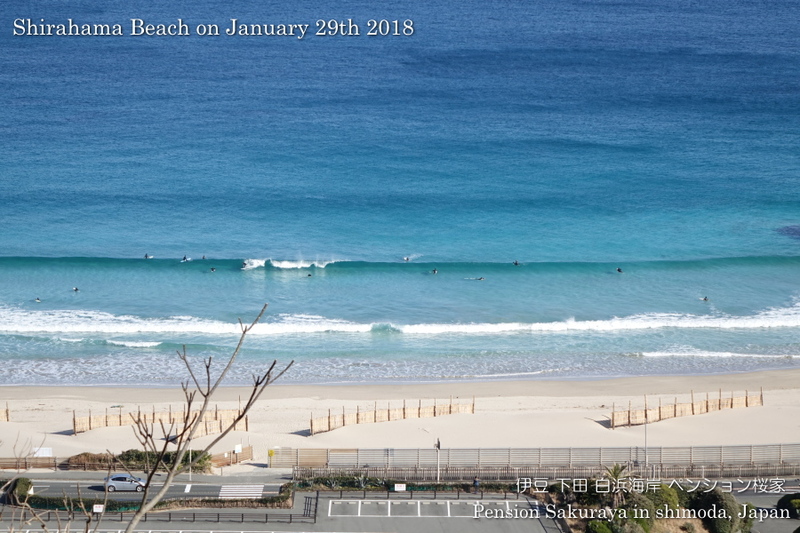 Sotoura Beach located between Shirahama beach and the town of Shimoda is very popular with families with children because they don’t have big waves. 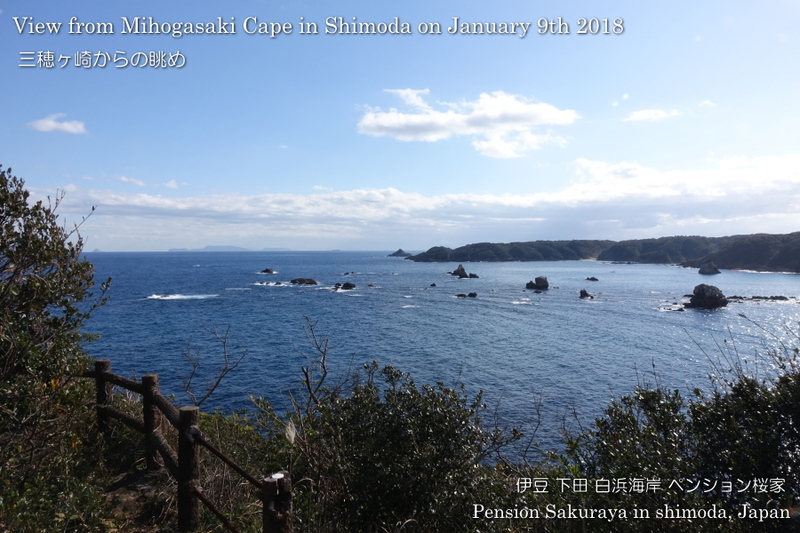 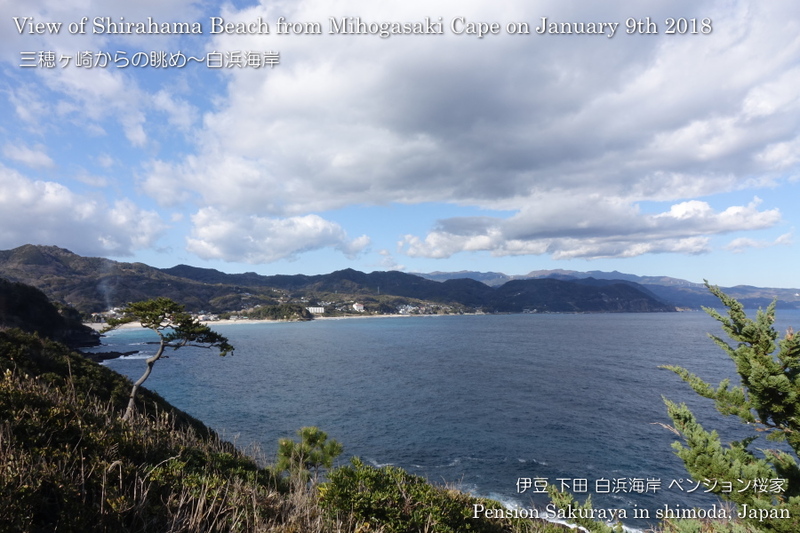 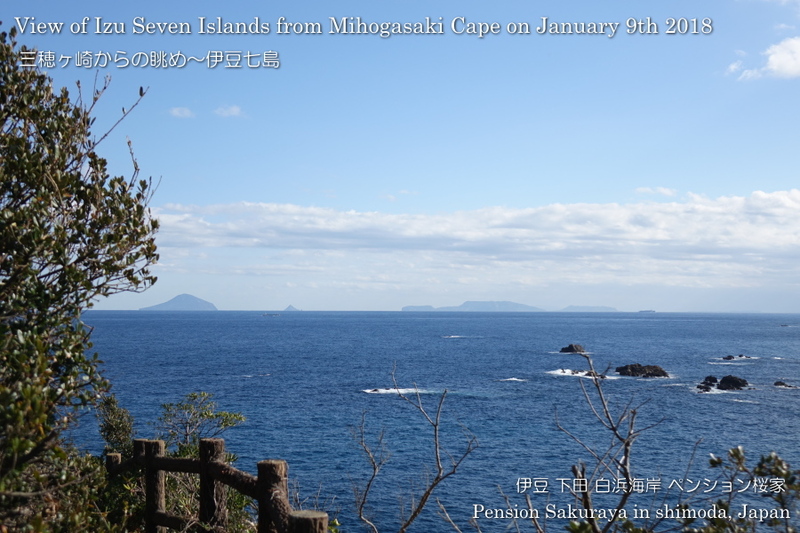 And Mihogasaki cape which is between Shirahama beach and Sotoura beach has great view of Izu seven islands and Amagi mountains. 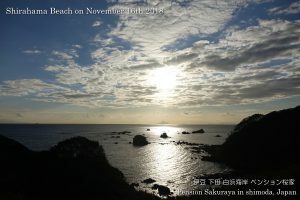 This entry was posted in beach, nature, Sea, Travel on 2019年1月9日 by izusakuraya. 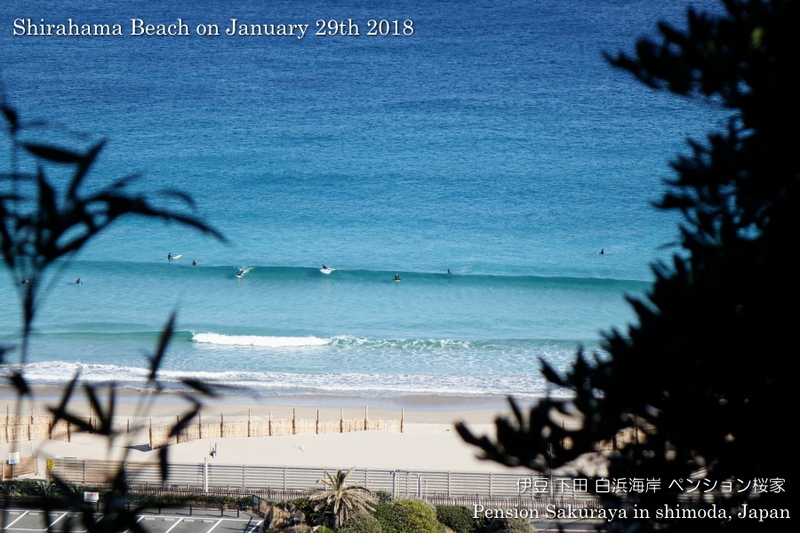 2019/01/08 Nature is an Artist! 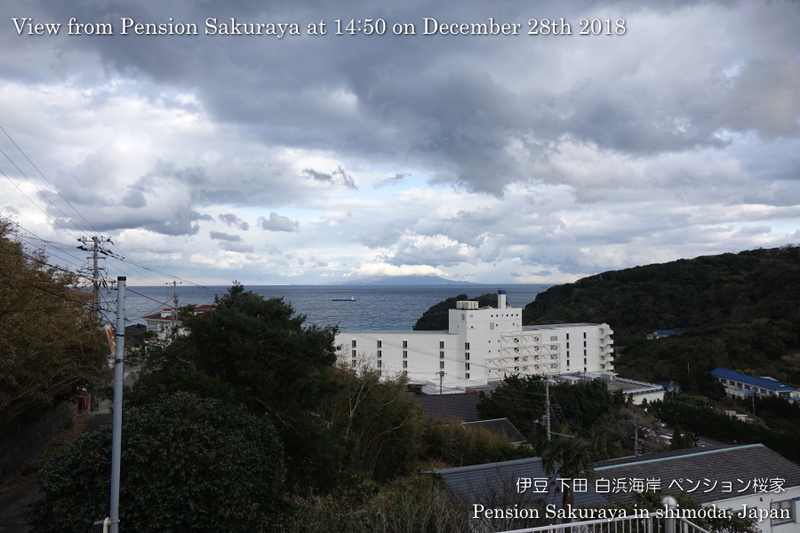 We had very strong west wind here in Shirahama today. 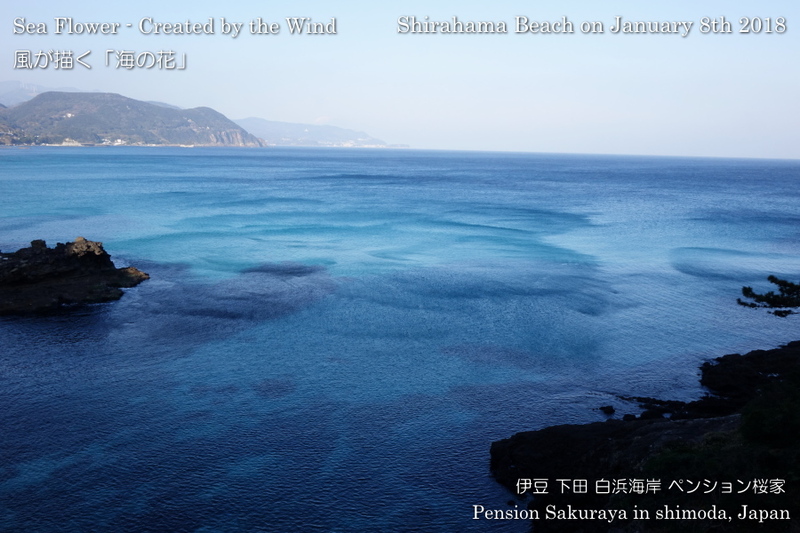 I haven’t noticed before, but I found out the wind draws “Flower” on the surface of the water. It was really amazing!! 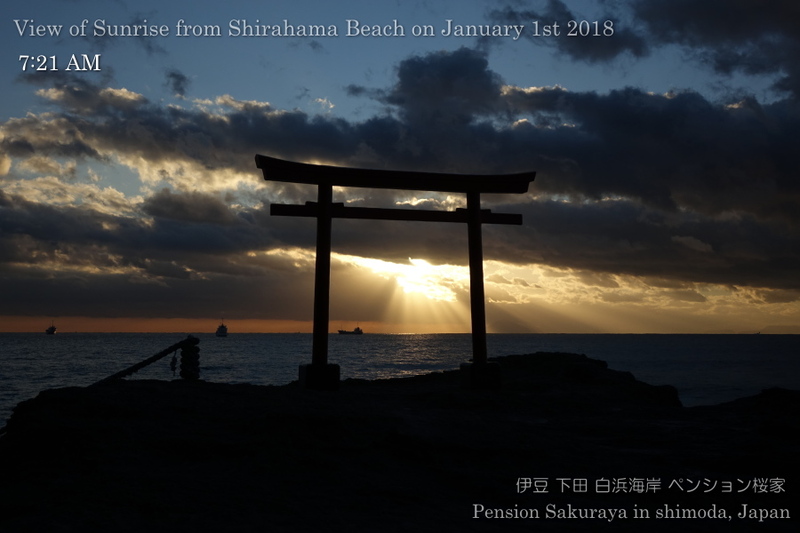 This entry was posted in beach, Flower, nature, Sea on 2019年1月8日 by izusakuraya. 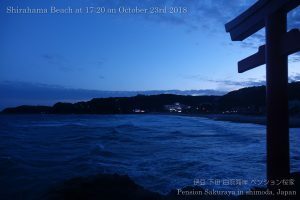 I had been working in our house all day long. 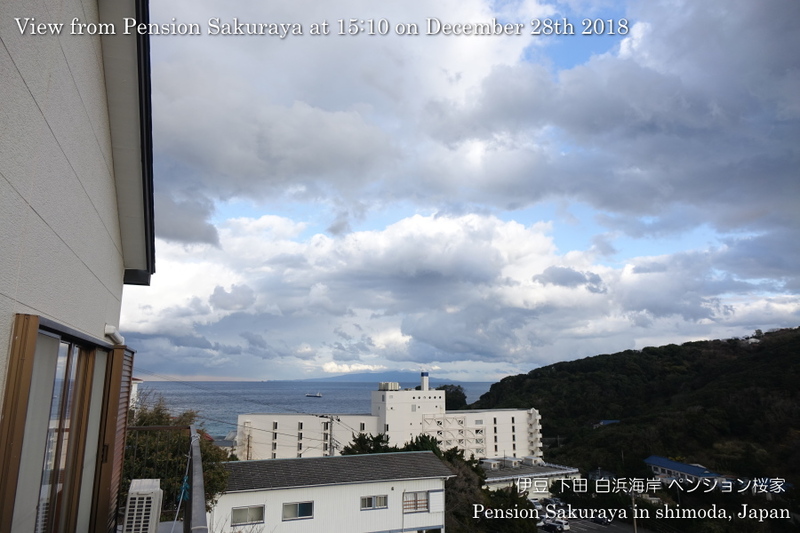 It was sunny until around noon, but the sky was covered with clouds. 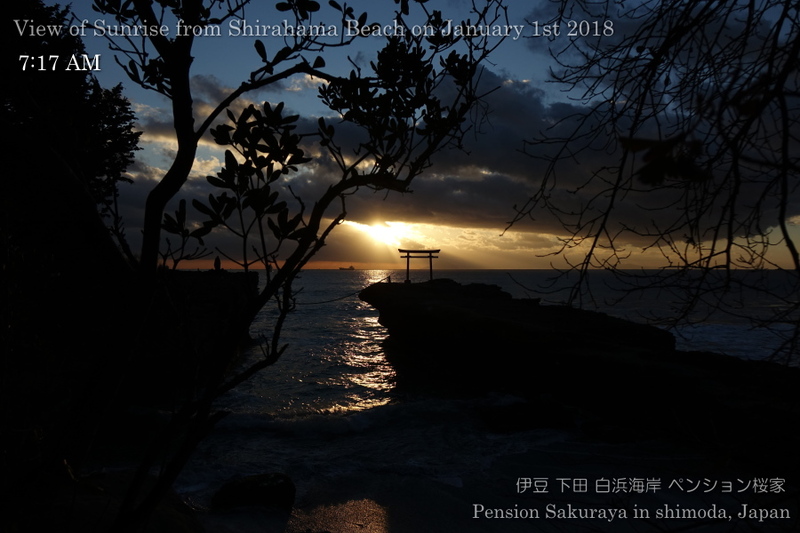 And it became very cold here in Shirahama after that. 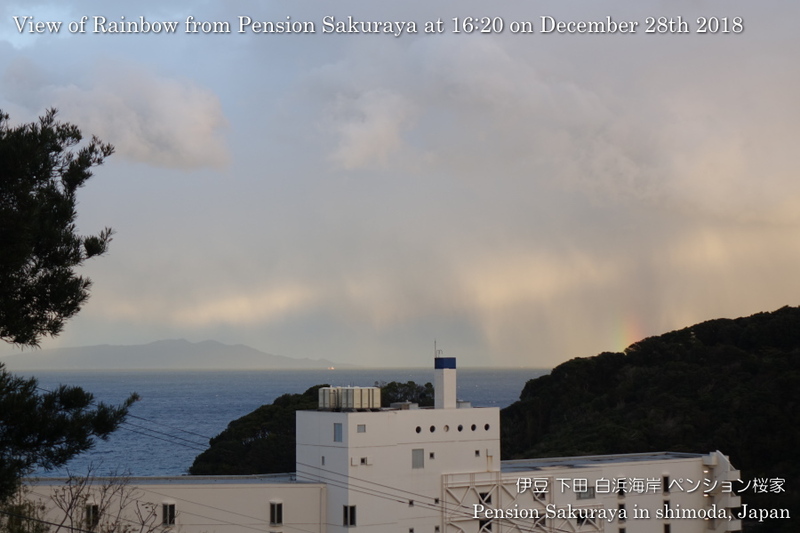 I think they had a little snow on Izu Oshima island and then we were able to see a little rainobow. 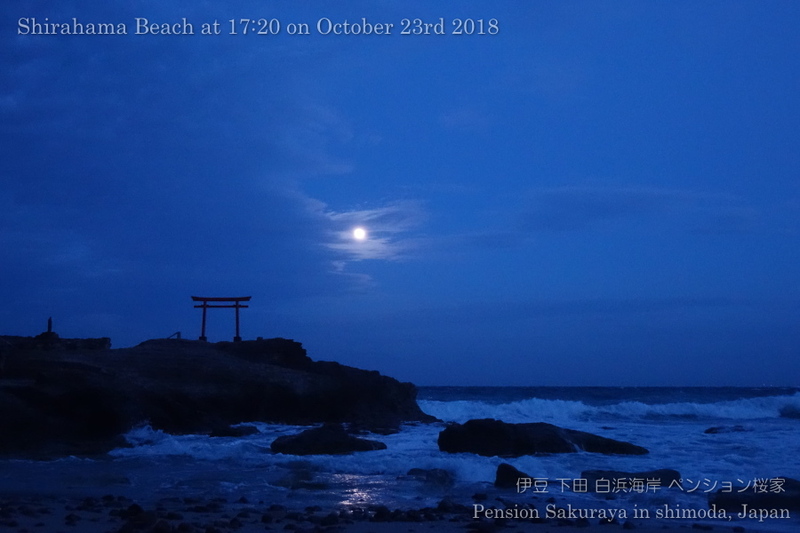 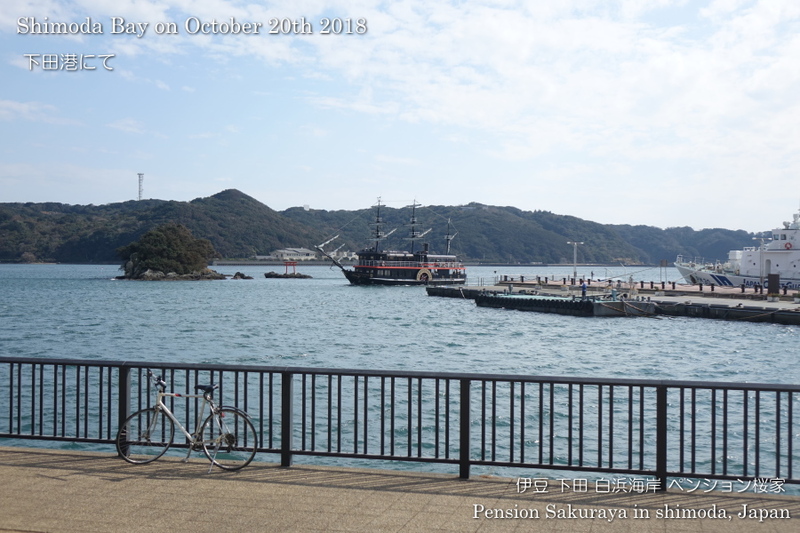 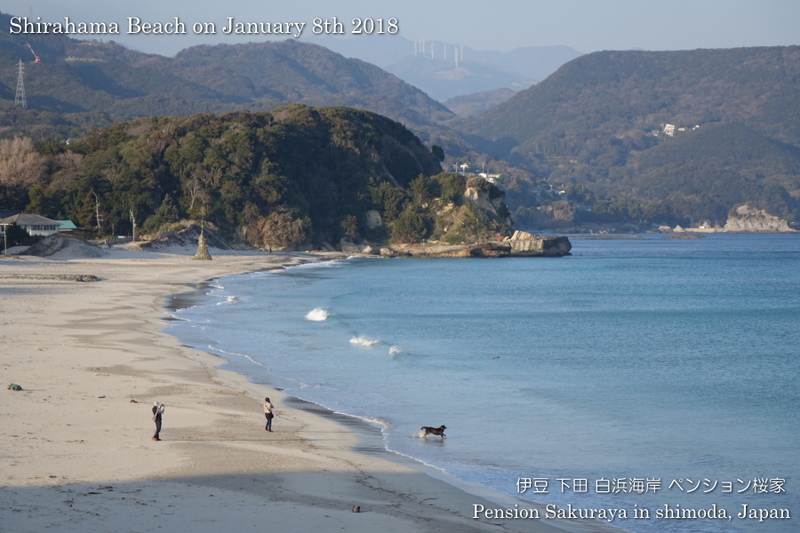 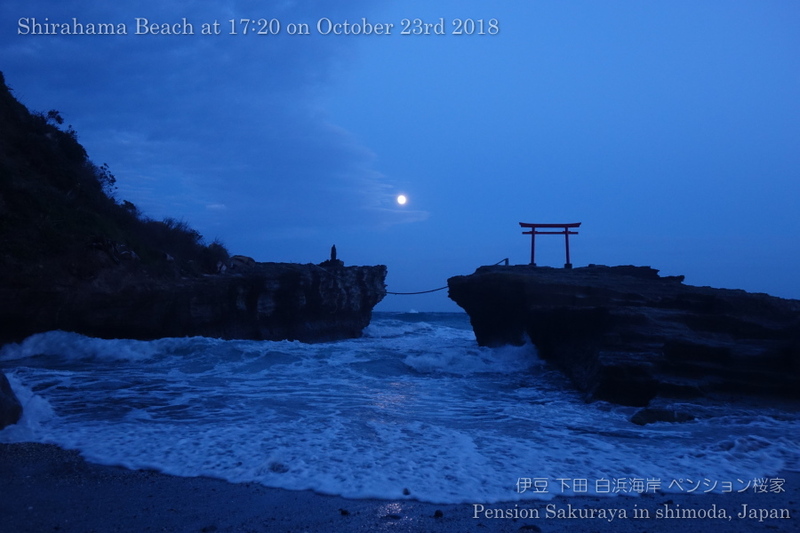 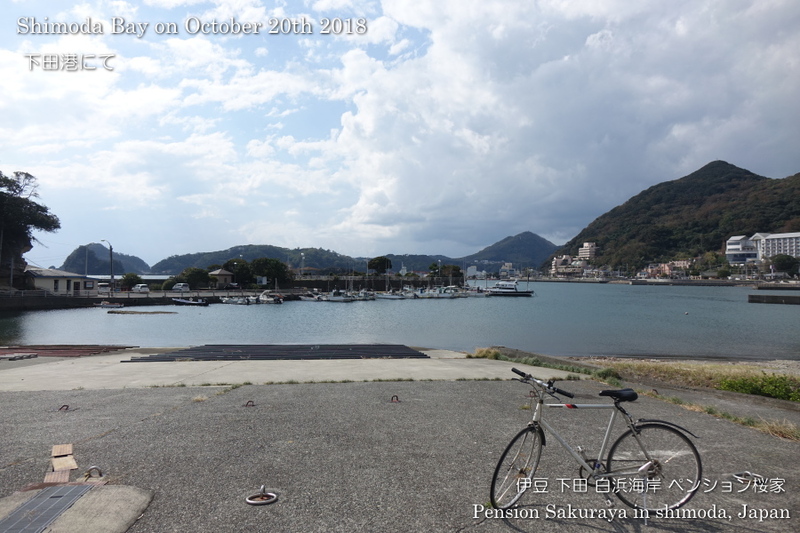 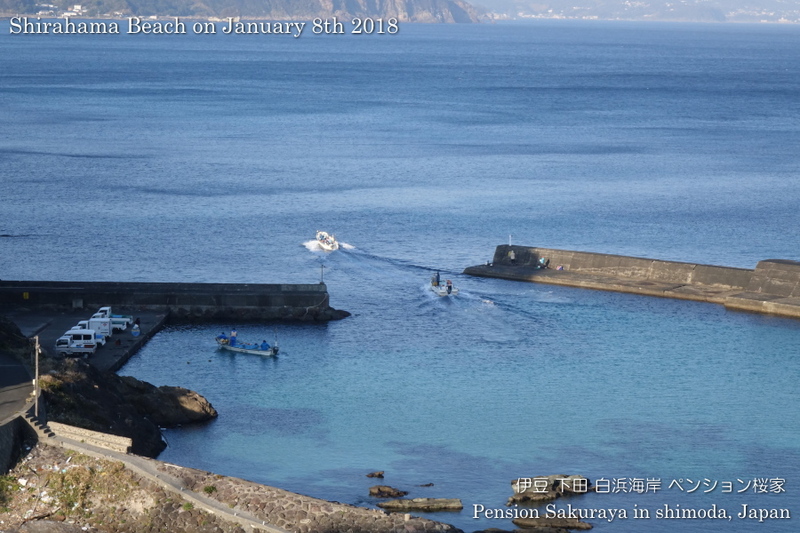 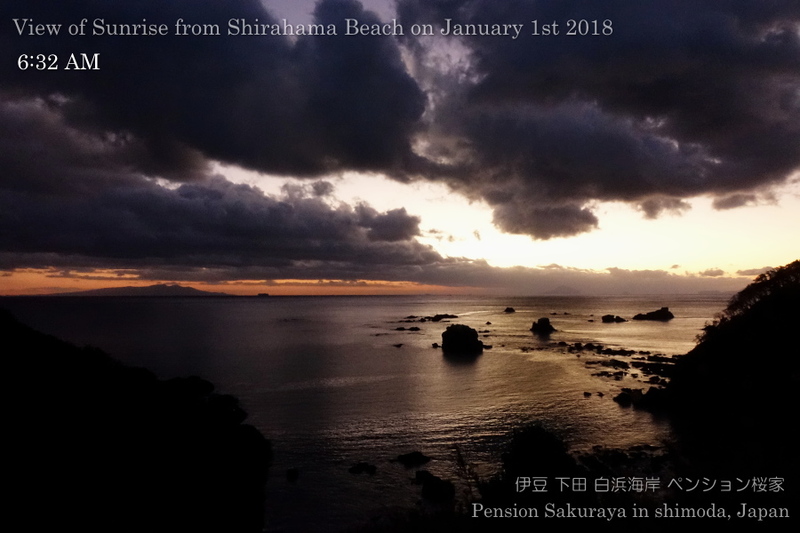 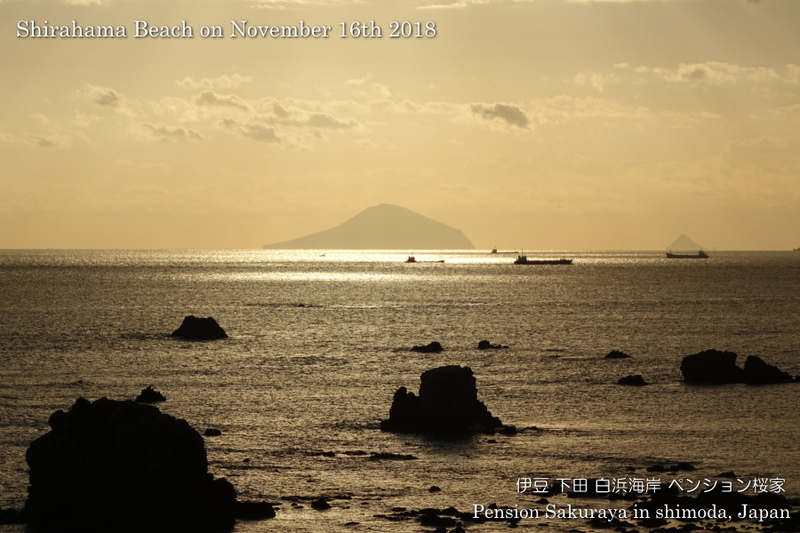 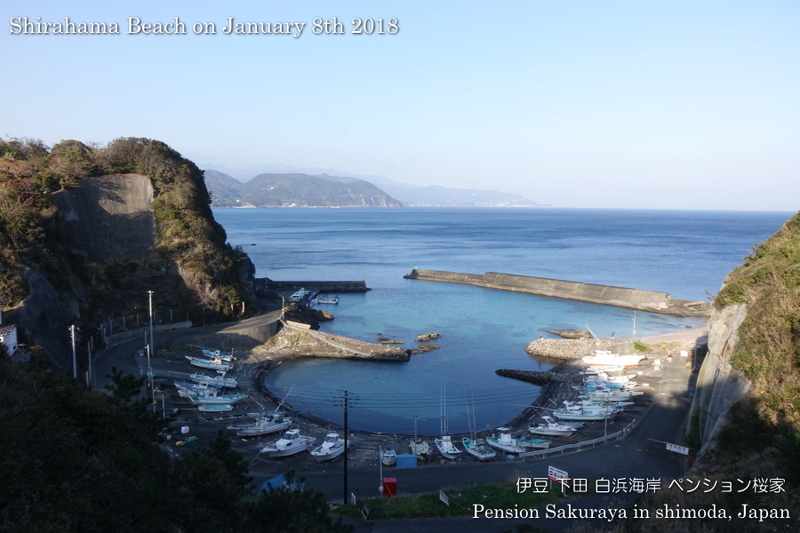 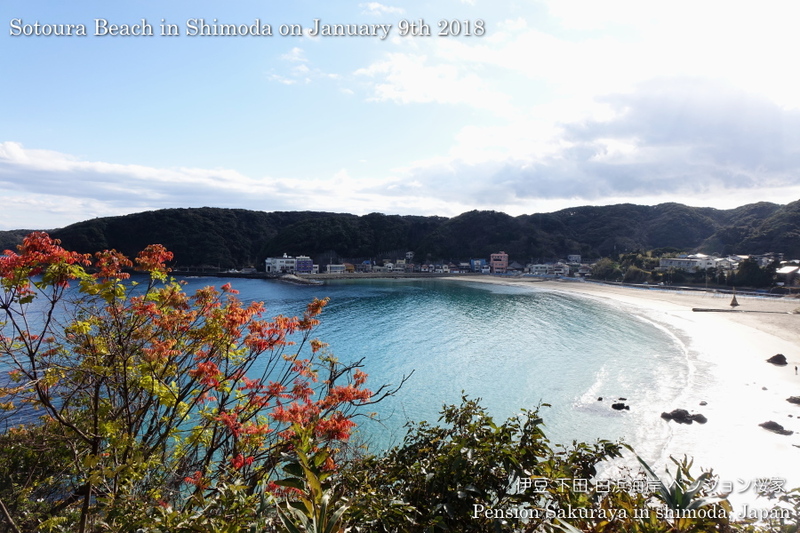 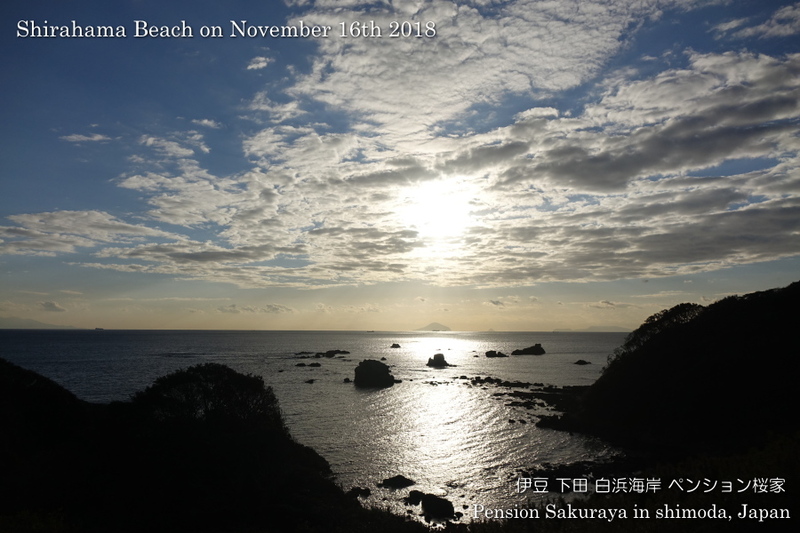 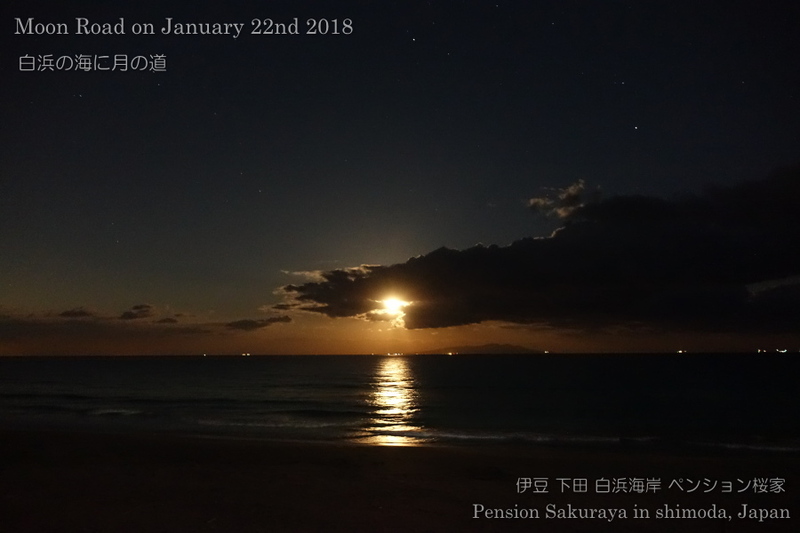 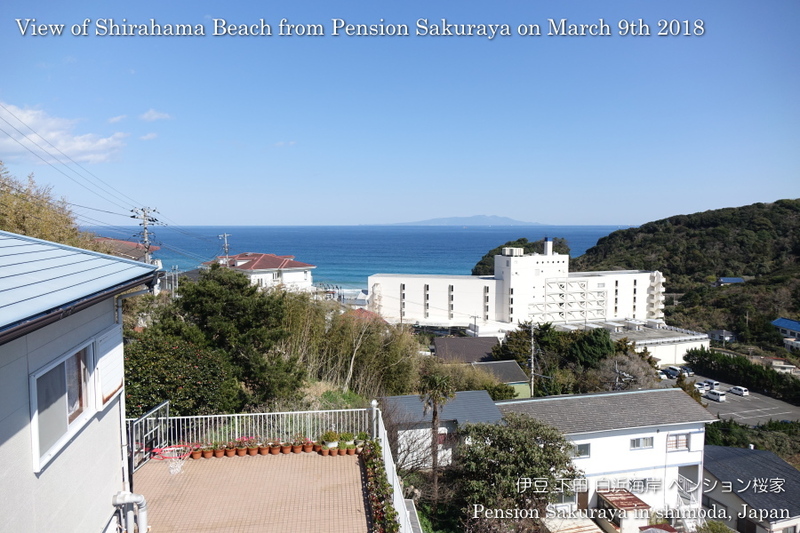 This entry was posted in nature, Pension Sakuraya, Sea on 2018年12月28日 by izusakuraya. 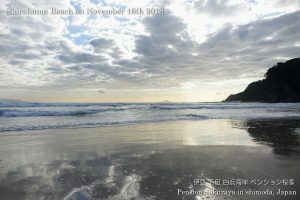 As I woke up at around 6:00 am this morning I walked on the seaside road to take photos. 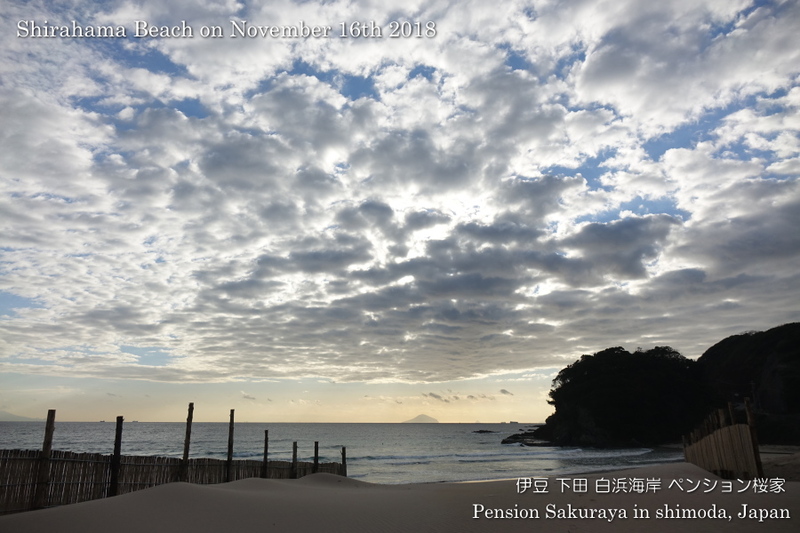 The eastern side of the sky was covered with a lot of clouds, but I got very beautiful sceneries. 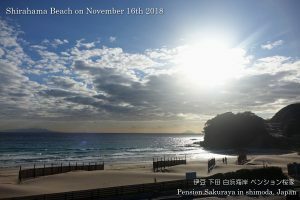 This entry was posted in beach, nature, Sea on 2018年11月16日 by izusakuraya. 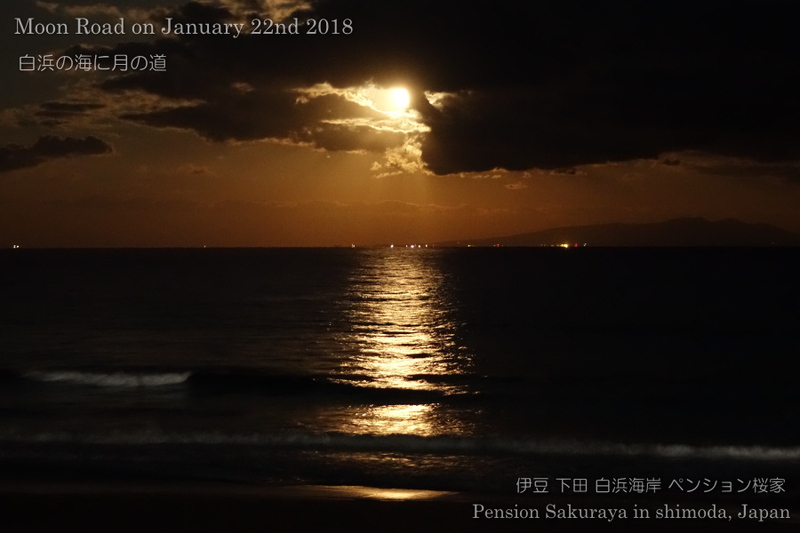 When I went shopping this late afternoon I saw the beautiful moon over the sea. 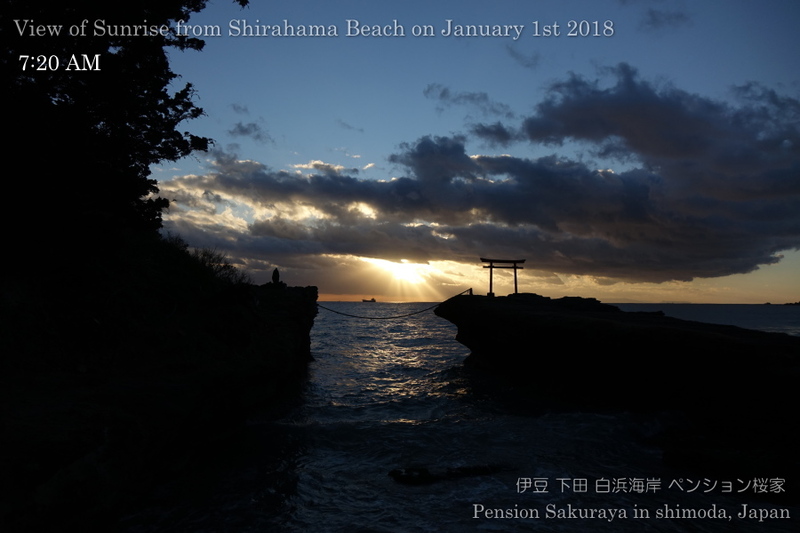 So I went to the beach behind Shirahama shrine to take photos. 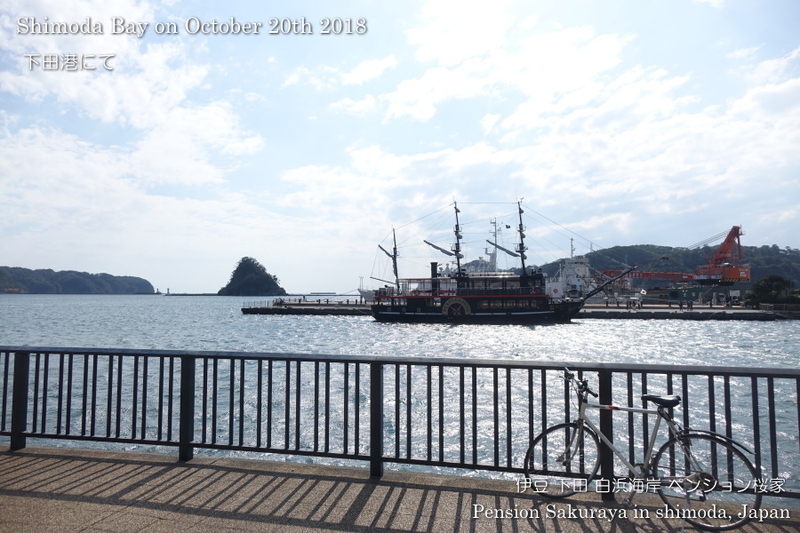 It was really beautiful scenery, but it was too hard to hold my camera on the rock because of strong wind. This entry was posted in beach, nature, Sea on 2018年10月23日 by izusakuraya. 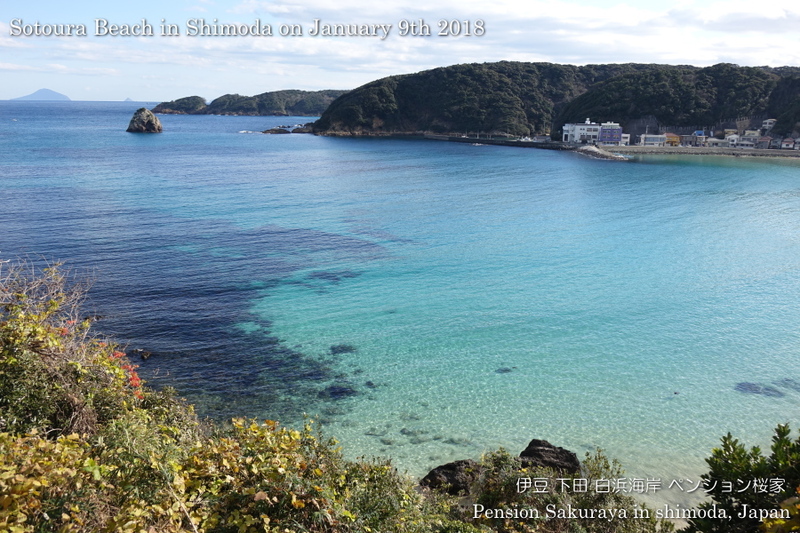 It was sunny here in Shimoda today. 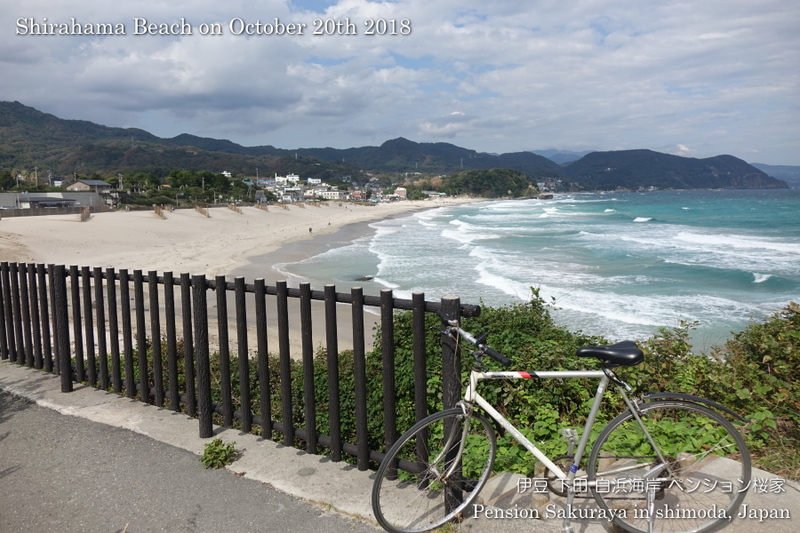 I went to Shimoda bay by bicycle after a long time. 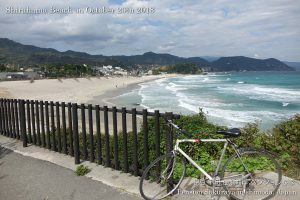 I bought my bike after I graduated university. 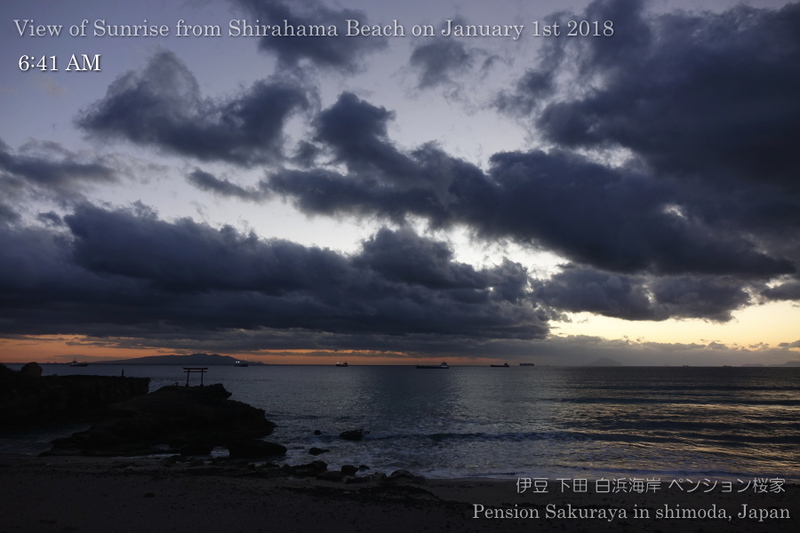 So it is now more than 30 years old, but it still works very well! 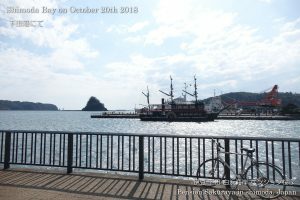 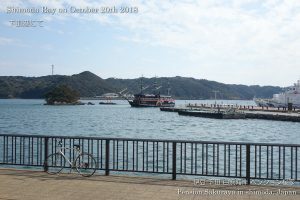 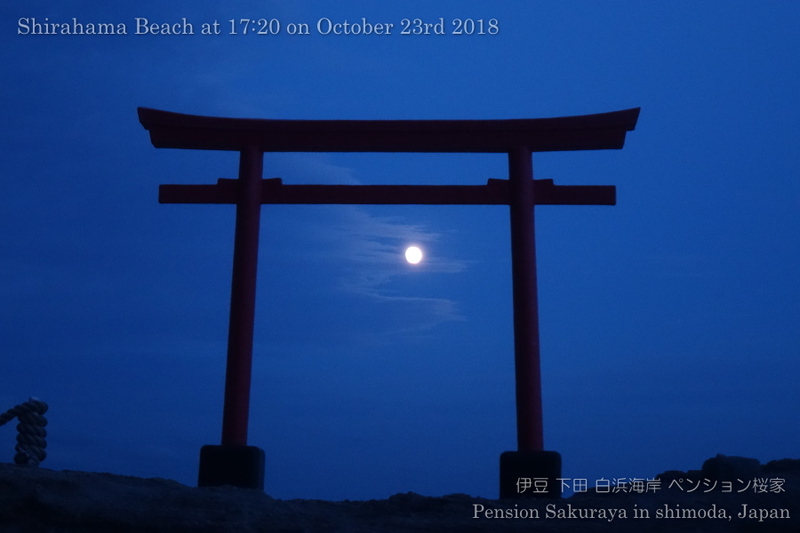 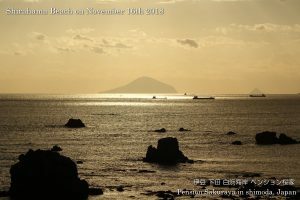 This entry was posted in beach, Sea, Travel on 2018年10月20日 by izusakuraya.